Experience Maps, Tracking & Location Analytics all in one app. Maps- Professionally created detailed map of India with ISRO’s Bhuvan Satellite view . Advanced 3D maps with location information. Location Analytics- Get visual insights on the map like issues reported or reviews of nearby places. With MapmyIndia Move: Nearby & Traffic it's easy to find and get to your friend’s house address with a smarter search. Also try using eLoc, MapmyIndia’s 6 character unique digital address for any place. Simply type the eLoc into the search bar for quick address search. Popular categories like Petrol Pumps, ATMs. eLoc– ‘MMI000’ MapmyIndia Move App is the only app that provides accurate house-number level search, so do give it a try! Know what’s happening around you with live feeds from World View. This is a feed of ratings, reviews, check-ins and reports by friends, updated in real-time, to give you a quick overview of localities, destinations for travel, interesting places to check out, etc. 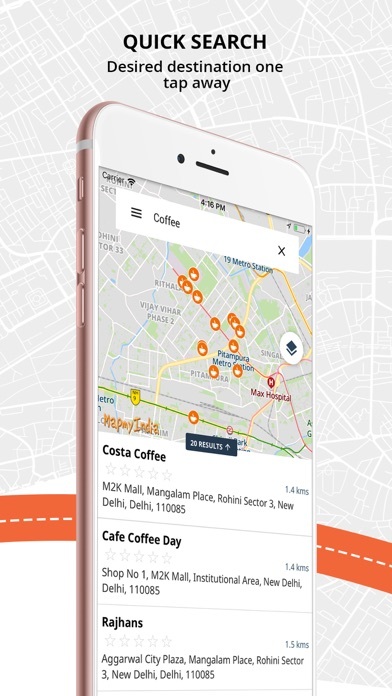 MapmyIndia Move: Nearby & Traffic allows you to View a detailed timeline of where all you have been. 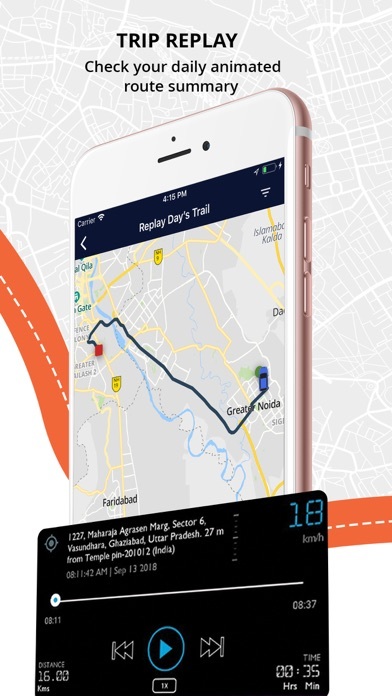 So now if you're going for a run, or took an interesting trail for a bike ride, you can view and share your route through MapmyIndia's Move App. Help your surroundings & civic authorities by reporting issues. Take charge of your area and make a difference by reporting issues like map, traffic and smart city issues. For example, if you see litter on the street, be a Smart Citizen and report it using the Move App to help our Government's Swachh Bharat Mission! Share your live location in a secure manner with your contacts. For example, if you share your location with a friend for 2 hours, your location will continuously update for 2 hours, and the link will expire thereafter. You can also edit and delete sharing permissions at any time. If you're logged in from multiple devices, we keep a track of where your devices are. For example, if you have lost your phone, we will be able to track your phone's location to help you find it. 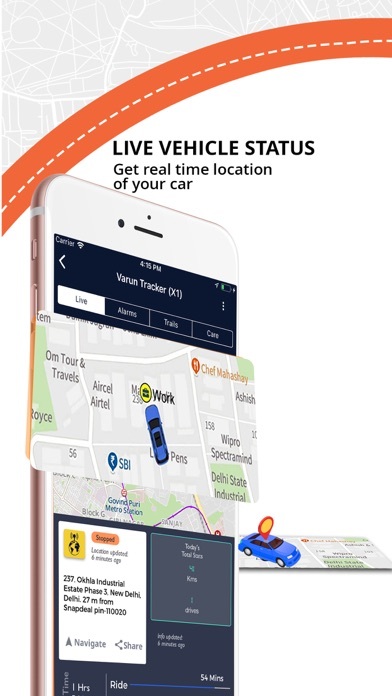 Find nearby parking, public toilets, petrol pumps, metro stations, etc. 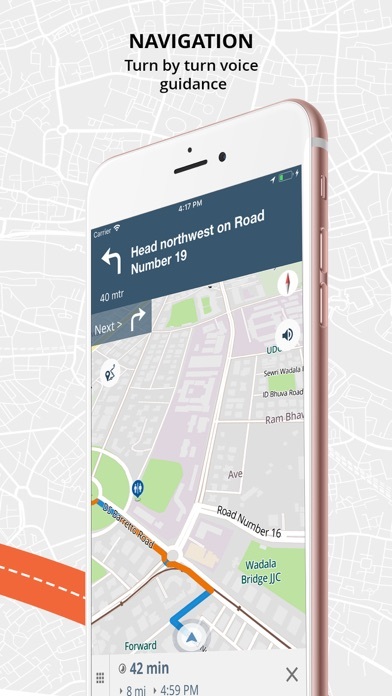 With the most detailed maps of India, our Move App is made for all billion Indians. Find nearby metro stations, public toilets, parking spots, petrol pumps, etc. with reviews and ratings to help you choose. Add your outlets, products, catalogues/menus, etc. and showcase your business on MapmyIndia's Move App to get discovered by all billion Indians. Get turn by-turn driving directions, Traffic Update, 3D Map View, Hybrid Satellite Map. Traffic Updates- Get real-time traffic updates and plan your trips smartly. Report- Report issues such as Traffic Issues, Smart City Issues, Map Issues, and Others. Rate Places- Don’t like a place? Rate & Review it! So what are you waiting for? 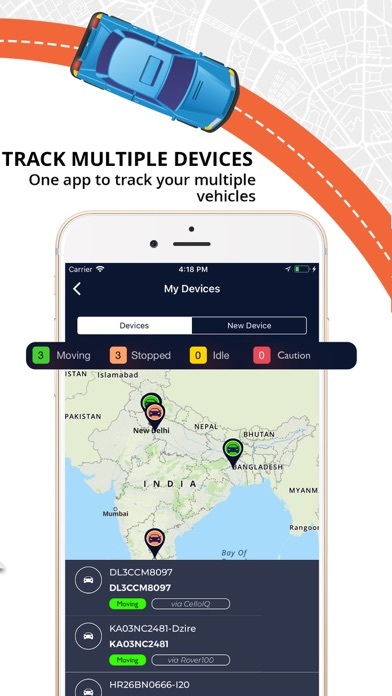 Install MapmyIndia Move today. *We've changed the way you Search for places. Enjoy a fresh new UI.